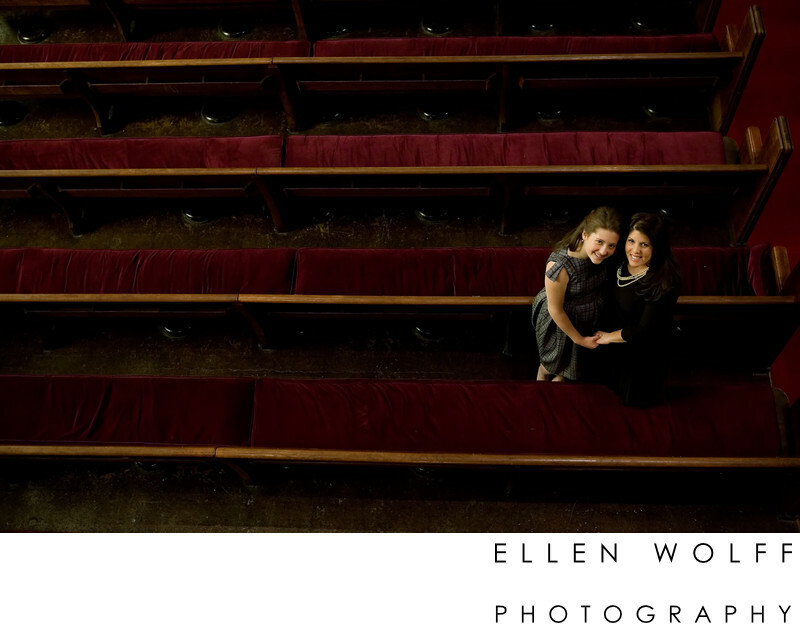 Mother and Daughter bat mitzvah portrait at Congregation Rodeph Sholom, New York City. I always look forward to photographing bar & bat mitzvah portraits inside the sanctuary at Congregation Rodeph Sholom. It is located on the upper west side of Manhattan and was completed in the 1920's. A period during which many synagogues were built using limestone to create cavernous interiors with horizontal rows of long wooden benches, and often balconies. If I am there at the right time of day - late afternoon in the Spring & Fall, earlier in Winter I love working with the windowlight. The bank of windows facing South provides an exceptional soft light for portraits. Environmental interior portraits are a thing for me - I think it is important to incorporate and include the environment in a few of the photos when I do "temple portraits." These photos will only get better with age. Jamie is a gorgeous girl and she was so relaxed, and I kept shooting and finding different angles to shoot from. I especially adore the mother daughter portrait I took from the balcony. Jamie and her mom are very close and I think this is the perfect portrait for them. Keywords: bat mitzvah portrait (3), NYC (21), rodeph sholom (33).